Posted on Fri 14 Oct 2016 at 3:34 PM PST. Filed under Filmmaking. 1. Shooting in 3k instead of 1080p (using the ProMovie app), the sensor gives you a completely different field of view. The crop of the sensor is smaller. 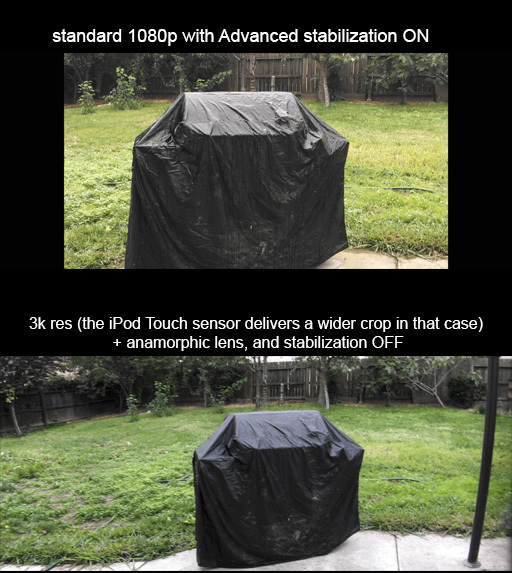 This is the biggest hack you can do to get a wider field of view (it’s even bigger than the anamorphic lens hack!). 3. Turning off stabilization (which means that you must have some sort of other stabilizer at hand to shoot properly). 1. I used the ProMovie iOS app, which allows me to record at 3k (3200×1800 resolution). I used 100 mbps, at 24 fps. I locked the exposure to 1/48th shutter speed, and then I set the ISO to lock the exposure. I set and locked focus, and white balance. 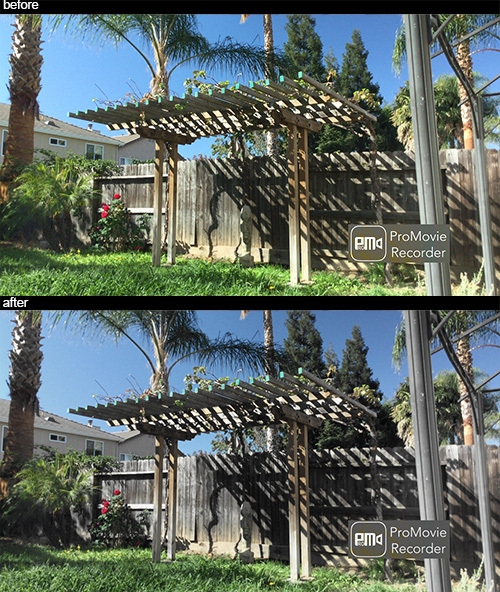 The ProMovie app also has an anamorphic screen view! I set stabilization to OFF (that’s why the video is very shaky). Obviously, when shooting something seriously, use a tripod or a stabilizer/gimbal. 2. When using the Moondog Labs anamorphic lens, and you apply the 1.333 aspect ratio in the project properties and on each clip (I use Sony Vegas), the effective resolution becomes 4267×1800. 3. 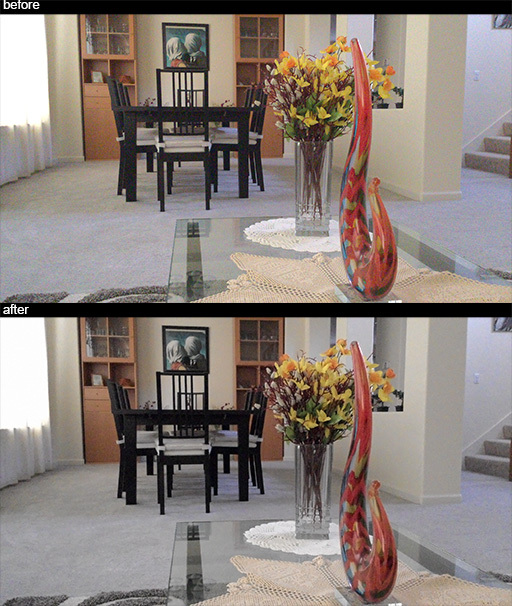 Then, I color graded this way, plus I added the FlmConvert filter with its “FJ H160 Pro” template, and also tweaked the template’s levels a bit. 4. Then, I exported at exactly 3840×1620, at 100 mbps bitrate (I exported no audio in my case). If using Sony Vegas, you must “disable resample” in all clips in the timeline before you export. Then, I uploaded on youtube. 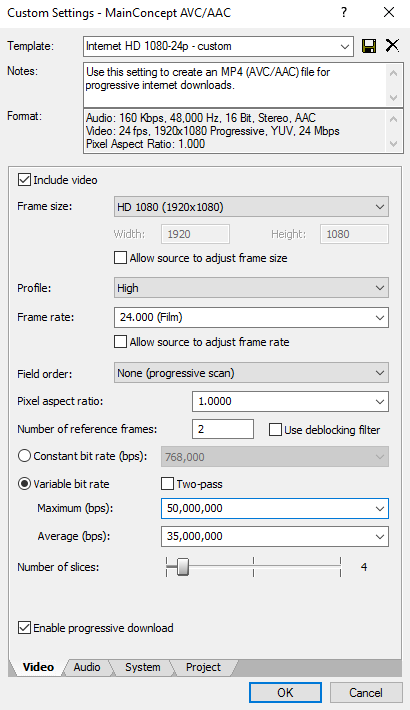 It is very important to export at the exact resolution stated above for 4k anamorphic btw, otherwise, people with ultra-wide monitors will get black bars on all four corners! The above resolution is ultra-wide UHD (3840 px wide).